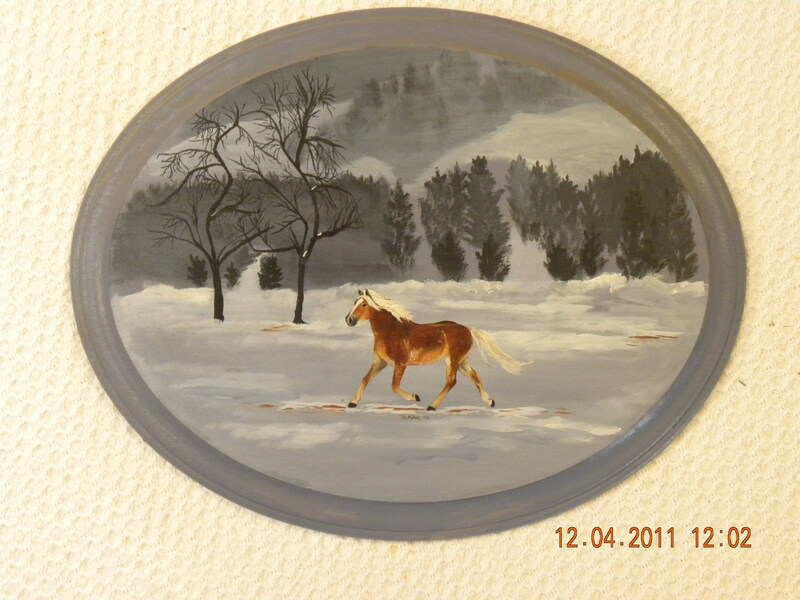 Winter scene, Oil on pine board, background in acrylic. 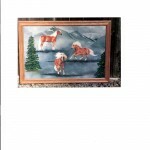 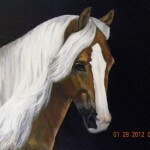 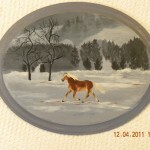 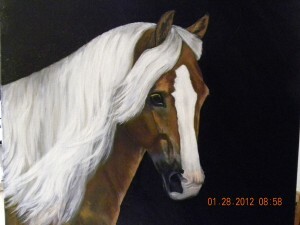 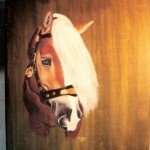 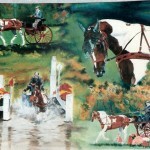 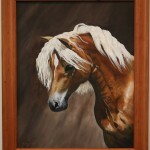 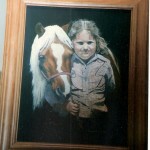 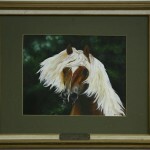 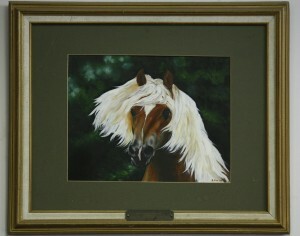 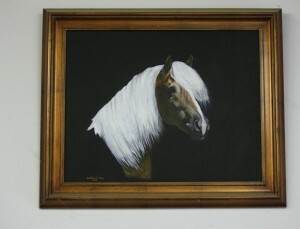 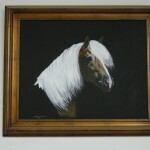 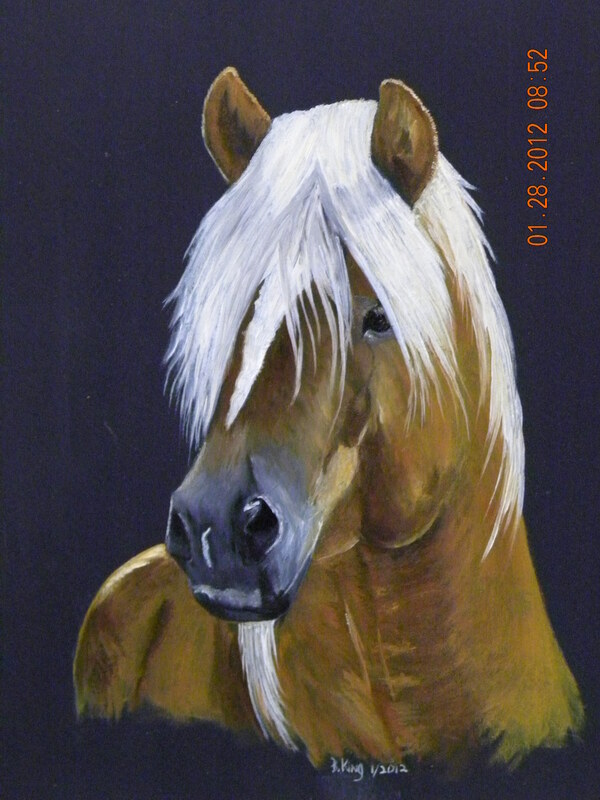 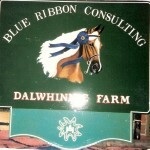 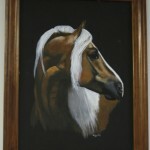 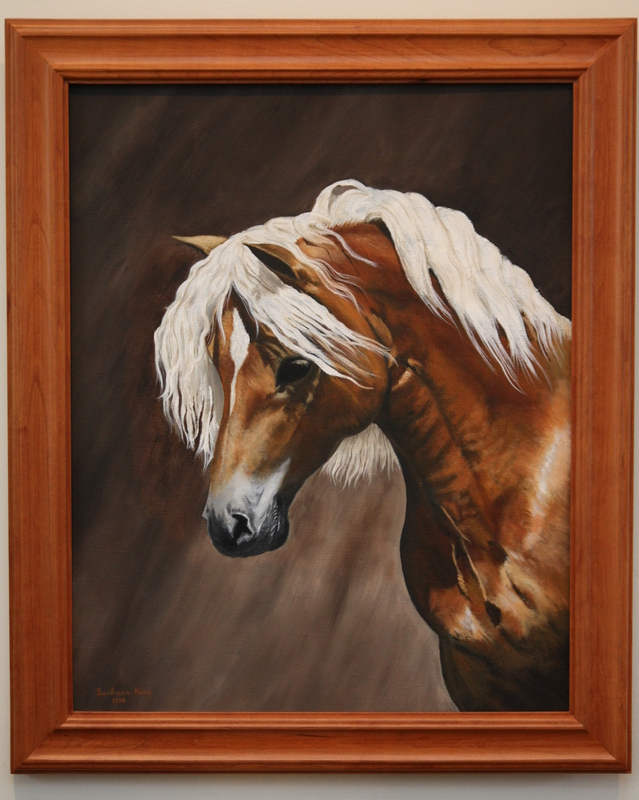 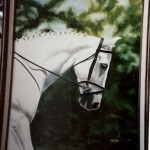 Co-owner, Barbara King, is an internationally recognized equine artist who specializes in the Haflinger Breed. 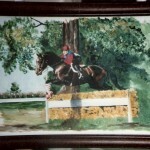 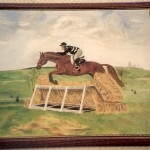 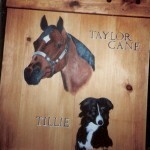 Barbara’s work is primarily commissioned portraits, but she will occasionally show up at a show or sale with a trunk full of hand painted welcome signs and various horsey items. 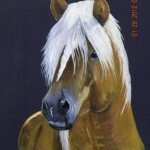 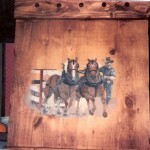 Barb’s’ favorite medium is oil on canvas, slate or wood.